Beyoncé’s pregnancy announcement at the 2011 MTV VMAs — and amazing purple sequined tux — has definitely set the stage for all the moms to follow to do their future offspring proud sartorially. This year, things were no different as several moms-to-be slayed the VMAs “white” carpet with their maternity style. Let’s take a look at some of the highlights. 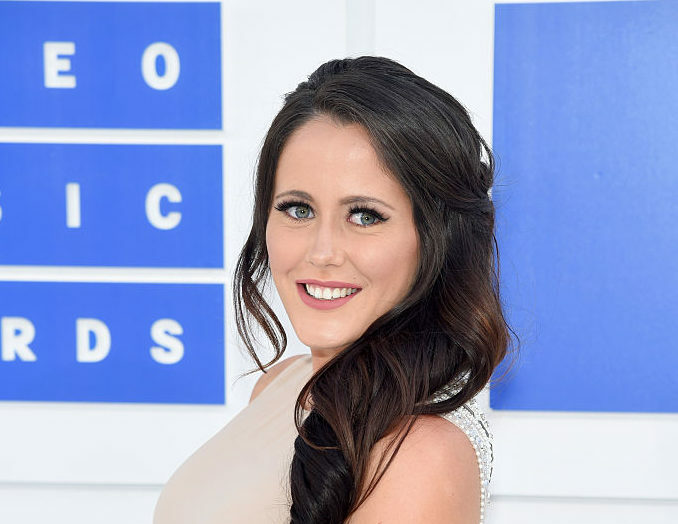 Just four days after officially announcing that she’s pregnant with her third child, Teen Mom 2′s Jenelle Evans rocked a neutral gown with intricate pearl detailing on the back. The dress is a safe choice given the wacky getups usually pulled out for the VMAs, but we would never throw shade at such a pretty look. Bonus: The blush color totally plays off her pregnancy glow. Keep it classy, Jenelle. 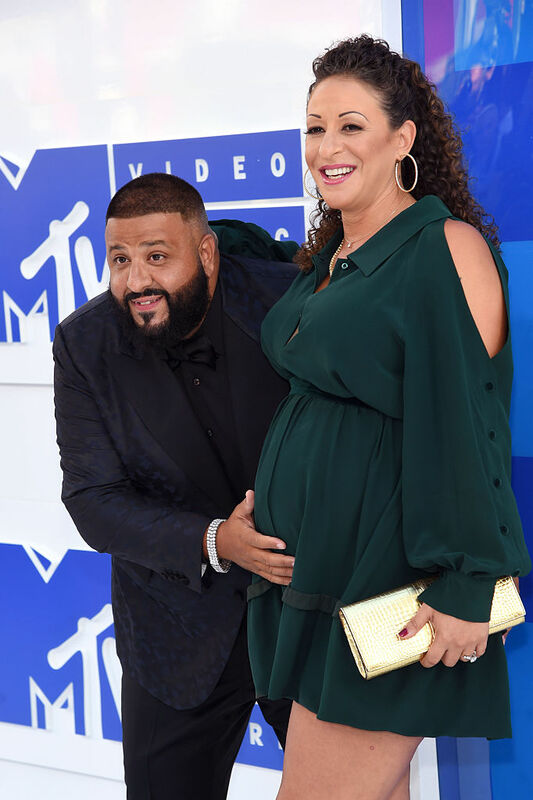 Nicole Tuck, whom you might recognize as DJ Khaled’s fiancée, showed off her baby bump in a mini forest-green shirtdress complete with shoulder cutouts. Despite the short hemline, Nicole gets points for pulling off a flattering, fall-ready frock. Plus, we’re loving that megawatt gold clutch. After those two relatively tame looks, Laura Perlongo’s shirtless stunt is definitely a shocker, but one that we can’t help but admire. Laura, the fiancée of Catfish‘s Nev Schulman, let her baby bump do the talking by pairing it with a clingy choker–body chain doodad, a bomber jacket, and, well, not much else. But that chain is so cool! We imagine that a LOT of double-sided tape is at play here. It’s a fabulous look, and brings a new level to bold pregnancy fashion! One thing’s for sure: The VMAs continue to be a place where pregnancy is totally celebrated, and we’re so onboard with that!